Hreflang annotations are Google’s speciality and a way for Google to understand the relationship between different country versions of a website. It was announced in 2013 on Google Webmaster Central and Yandex followed up right after. Other global search engines, such as Yahoo!, Bing, Naver and Baidu continue using their own signals to determine the language and country target. This tag indicates that the website is intended for English-speaking users in the US. This tag indicates that the website is intended for Mandarin-speaking users in Mainland China. Mandarin Chinese is the only language variant that is accepted by Baidu. Baidu, unlike most search engines, doesn’t allow you to specify the geographic target in their Webmaster Tools. However, it is recommended that you submit each country version separately for Baidu to more easily understand that the sites are different and are serving different regions. You can only submit TLDs or subdomains (not subfolders). I thus recommend running country versions on different TLDs. 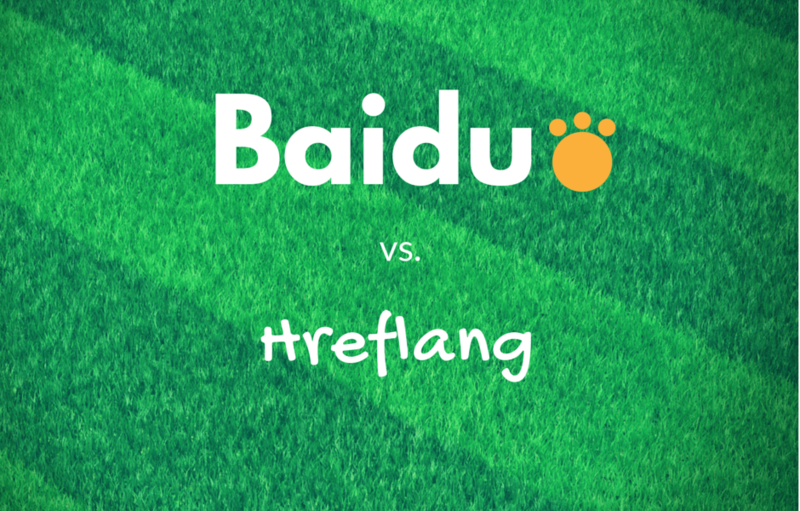 So, What is the Best TLD Strategy for Baidu and Multi-Language Websites? 1. If you only target users in Mainland China, e.g. in Chinese and English, choose one .COM domain and place content in Chinese there. Add /en/ subfolder for English content and a language selector. 2. If you target users in multiple countries including China, place content in Chinese under a separate TLD (.COM or .CN), while keeping content in other languages under different TLDs or a TLD with subfolders. ← SEO for Baidu: Have You Missed Out On 600M Users?